On arriving at the Adelaide airport, get an assisted transfer to the pre-booked hotel. Relax for some time and spend the rest of the day in doing the activities of your interest. Stay overnight in Adelaide. After having your breakfast, begin sightseeing in Adelaide including its popular structures, parks and landmarks. Get drenched in the amazing charm of the city. Drive past North Terrace- city’s cultural lane and then visit Colonel Light's Lookout and Glenelg Beach- a harbor area. Relish chocolate tasting at Haigh’s Chocolates. The afternoon is scheduled for a tour of the Hahndorf and Mount Lofty-major historical centers of Adelaide. Treat your eyes to the amazing landscapes of the hills, with historical villages sprinkles all around. Explore Hahndorf, the oldest German settlement in Australia. Here you get a chance to experience the rich Bavarian heritage. Take a leisure walk on the Main Street consisting of beautiful buildings. In the evening, enjoy tea at a German pub. Back to the hotel for an overnight stay. Post breakfast on the 3rd day of the tour, embark on a picturesque coach trip down through the Fleurieu Peninsula towards Cape Jervis. Upon arriving, go aboard the ferry that leaves you to the Kangaroo Island after a span of around 45 minutes. Here you can have a great experience interacting with the wildlife in the natural surroundings. Admire the amazing unspoilt wilderness. You can indulge in a number of interesting activities here. Overnight stay in Adelaide. After breakfast on day, get transferred to the airport to board a flight to Melbourne. On reaching, complete the check-in formalities at your pre-booked hotel. Thereafter, leave for a half-day city tour of Melbourne. 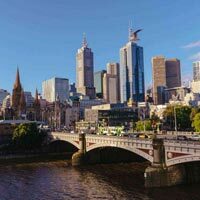 Visit classical southern part of Australia, home to the popular Open football and Melbourne Cup. 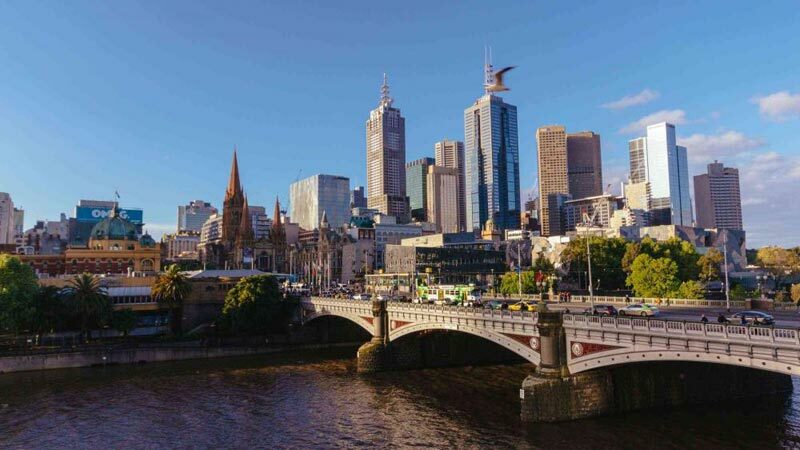 Later, take a stroll, viewing cafes, gardens, markets, restaurants, galleries and more, for which Melbourne is popular. Night stay in Melbourne. After breakfast on the 5th day of the tour, you have a day at leisure. You have options to choose from. Either you can go for a day’s excursion to Sovereign Hill and Ballarat. This place is an amazing depiction of Ballarat in the 1850’s when gold mines were founded here Or you can go for a tour of the Great Ocean Road- a mesmerizing coastal road with a picturesque scenery Or you can enjoy a ride on the well-known narrow gauge railway Puffing Billy of Australia that lets you enjoy a great view of the Blue Dandenong Ranges. Explore the Yarra Valley Vineyards and then interact with the region’s exotic wildlife at Healesville Sanctuary. Stay overnight in Melbourne. Enjoy your breakfast and check-out from your hotel to get transferred to the airport to board a flight to Sydney. On arriving, complete the check-in formalities at your hotel. You can spend the rest of the day at leisure or can indulge in the activities of your interest. Stay overnight. On day, morning breakfast followed by a city tour of Sydney. Today, you explore the well-known attractions including Sydney Harbour Bridge, the Opera House, Manly Beach and lastly, the Darling Harbour. You are provided One day Sydney pass with which you get entitled to visit 3 major attractions of Sydney including Sydney Tower Eye, Sydney Aquarium and Wildlife Sydney or Madame Tussauds. This pass also entitles you with an Unlimited Monorail ride. Overnight stay. After breakfast, the 8th day is at leisure where you have options to pick from. You can go for a tour to the magnificent Blue Mountains and later interacting with the wildlife at the Wildlife Koala Park Or you can choose for a tour of Hunter Valley where wine is grown expansively Or you can also visit Port Stephens to spot the friendly dolphins. After you get completely contended, be back to your hotel for some rest. The evening is scheduled for visiting the Darling Harbour to get aboard the Showboat cruise for relishing sumptuous dinner and attend a special show. Overnight in the hotel. Once you have your breakfast, get an assisted transfer to the airport to board a flight for your onward destination.